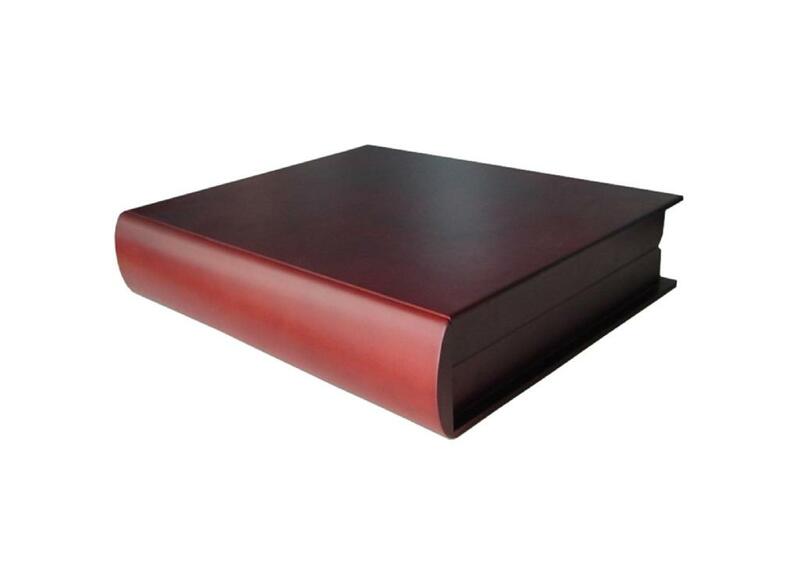 This classy wooden book box has been fabricated with MDF and has a rich burgundy stain inside and out. We can decorate the inside with velvet and use quality ball hinges and a strong magnet for secure closure. 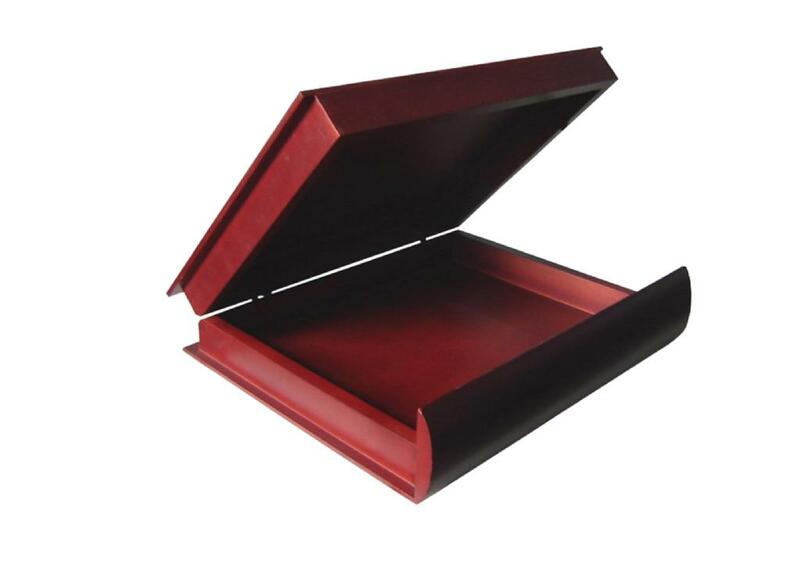 Because this box has a very shiny surface, it can easily be used to carry special books as a book holder, such as a wedding album or any other special keepsakes. Dimensions 29x24x6.5cm. We take great pride in manufacturing the highest quality custom made finished elegant wooden book boxes for each and every customer. We have the skilled workforce and expertise required to meet any and all of your wooden box needs.